Do you want to help get out the vote and Rock for Life at same time? This election, like many others, is extremely important. This is a time for you to impact your community, your state and even your nation – and to make an impact for the preborn children. You can make a difference and we want you to get involved, that is why we are part of the I Vote Pro-Life First Coalition! Our coalition has a goal of reaching over 300,000 voting households. If we can do this we believe we can have a huge impact in the election. 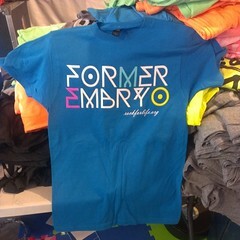 Now there is a way YOU can make a difference in getting out the vote and helping Rock for Life! A generous donor has offered to donate $12-18 for every 100 get out the vote phone calls we are able to make. This is great news! This is a win – win situation! Registered voters receive calls encouraging them to vote, YOU make a difference in this election and we, Rock for Life receive much-needed funds. And we need funds! This fall we have opportunities to reach tens of thousands of young people with the pro-life message. But in order to do this we need financial assistance. We receive funds, we make a difference. We don’t, then we stay home. Staying home is NOT an option. So, will you help us? This is a great opportunity for many of you who want to give financially but can’t. Now, all you need is some time. Can you give us 4 hours, 2 hours or even an hour? Any time will help big time and be much appreciated. If you are interested in this opportunity please email me ASAP at erik@rockforlife.org. 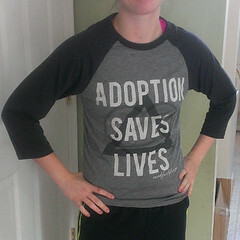 I pledge that abortion is the qualifying issue. I pledge that I will never support or vote for a candidate that endorses the killing of pre-born children. Will you make that pledge? Going on the I Vote Pro-Life First Campus Tour next week! 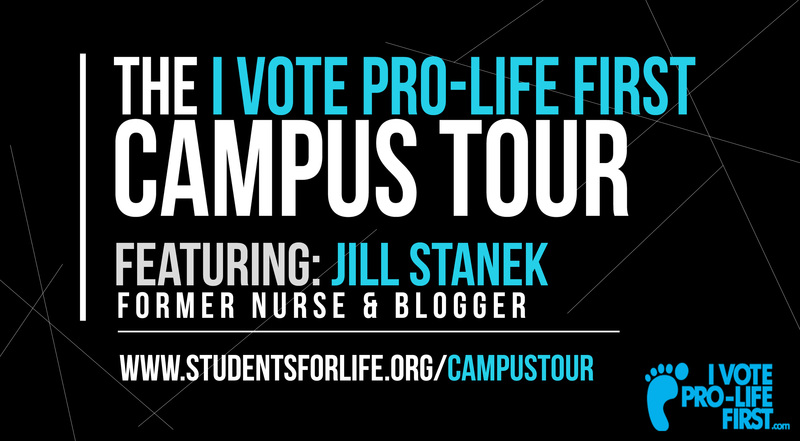 Next week I will be joining Jill Stanek and Students for Life for the first ever, I Vote Pro-Life First Campus Tour! We will be hitting up at least nine college campuses starting Monday, September 17th. 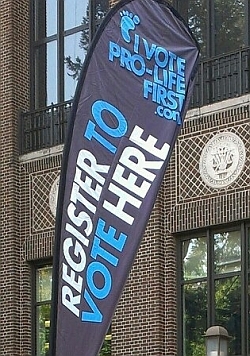 We will be bringing the I Vote Pro-Life First pledge to each campus, educating and encouraging collegians the importance of the pledge and the importance of voting, and getting people registered to vote. 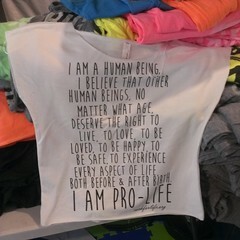 I am part of the I Vote Pro-Life First Coalition and I am committing to promoting this message. If you are near any of these campuses please stop by, hear what we have to say and see about getting involved. If you would like to bring this to YOUR campus let me know. Finally, if YOU support our efforts and want to help us financially, please click the “donate” button or send us a check or money order to Rock for Life, PO Box 333, Locust Grove, VA 22508-0333. These efforts aren’t free. We are doing it and hoping and praying we can pay the bills when we get back! So if you support us doing this please prayerfully consider supporting us. And please keep this effort and our safety in your thoughts and prayers! Keep checking back here for updates as well as our facebook and twitter. THANKS!